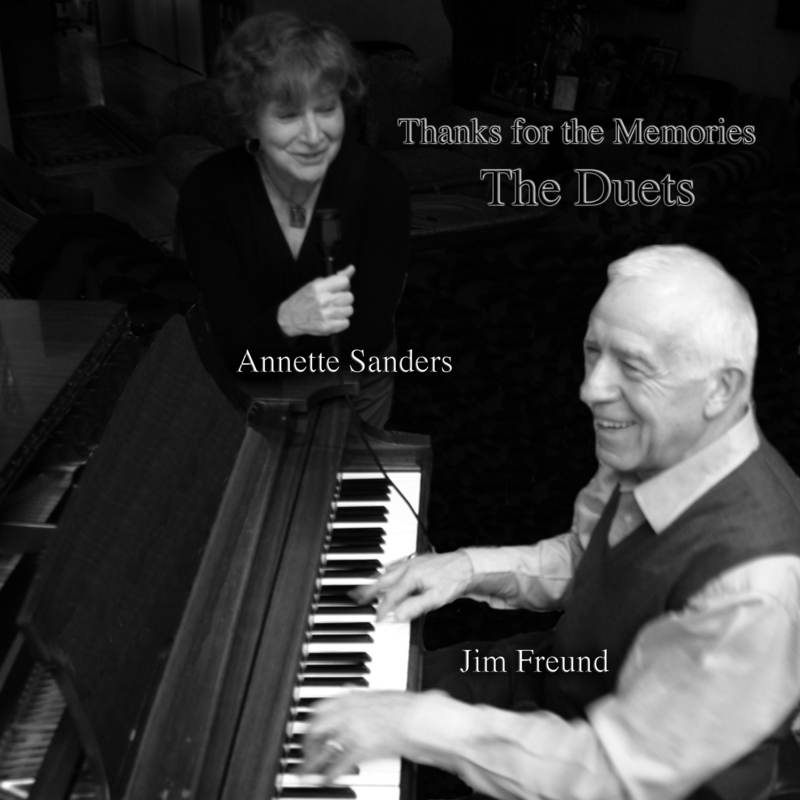 On half the duets, the accompaniment consists of just my piano. On five tracks I'm joined by the fine bassist, Dmitri Kolesnik. On one (#11), the legendary vibist Warron Chiasson chimes in, while on another (#16) guitarist Andrei Ryabov spurs us along. The songs are all standards. Three are by Irving Berlin Nos. 1, 5 and 7), two each are by my favorite Jimmy's -- McHugh (Nos. 8 and 12) and Van Heusen (Nos. 4 and 14). In terms of nostalgia, the song that stands out is Thanks for the Memory (#13) by Leo Robin and Ralph Rainger. The treatment I most relish here is on Cole Porter's Why Can't You Behave? (#2) from his superb show "Kiss Me Kate" – you can tell how much fun Annette and I were having with the lyrics. . And on Stompin' at the Savoy (#11), that's me on vibes playing the first chorus – then switching over to the piano to back up Warren Chiasson's first-rate vibes solo.